This entry was posted on Thursday, February 6th, 2014 at 11:38 PM	and is filed under Ancient. You can follow any responses to this entry through the RSS 2.0 feed. You can skip to the end and leave a response. Pinging is currently not allowed. The self-effacing Dr Hawass is no longer Antiquities Minister? Heh heh… He was fired in 2011 after the removal of Mubarak. This article lays the history out nicely. This is not true. No new evidence has been found for any coregency. 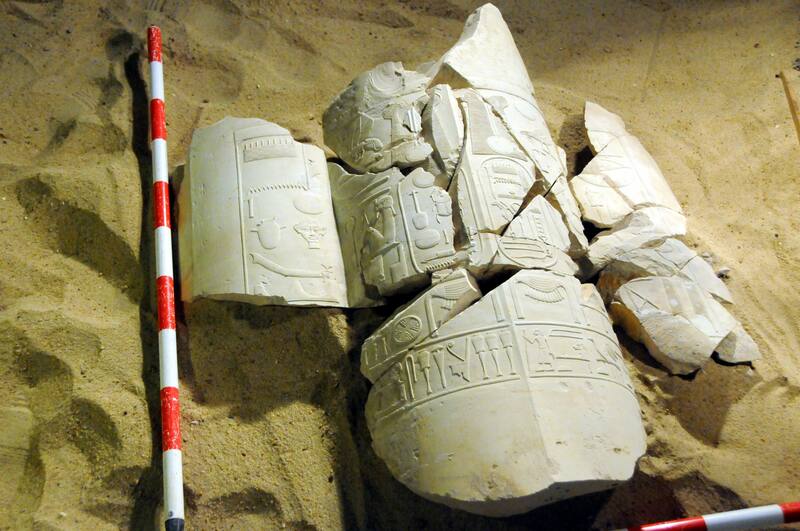 It’s all hot air by inept ‘egyptologists’ picked up by an Egyptian official. What makes you say that? Do you have special information as to the competence of the Instituto de Estudios del Antiguo Egipto de Madrid team? They’ve been working for four seasons. Has it all been inept? I can see both cartouches in the photograph. Was that image doctored, in your opinion, or is there some other explanation for it? I didn’t say they doctor or falsify things but are well-connected inept people. How would you describe people who say in a video that natron is a mixture of calcium salts or that this vizier was a ‘saint’ and that’s why many later burials are there, when it is very common to find later burials in earlier tombs from people who just couldn’t afford otherwise? Martin Valentin long ago published an Egyptian Grammar in Spanish for which he was accused to plagiarize other works and was full of errors, accusations he never could answer satisfactorily… Caveat emptor, also in archaeology. Thanks for the Hawass link. Drama queen to the end! Being named “explorer-in-residence” by the aggressively and shamelessly commercial National Geographic Society is hardly the Nobel Prize. To Julio: Julio: You don’t have any right to slander me to me or my team. Because you us difames will not change the fact of our discovery. Disqualify us is not the way to discuss scientifically the results of an investigation. Who you are in truth July? Why are you so full of rage and hatred?. The problem is that the team from “Instituo de Estudios del Antiguo Egipto” in each publication speaks about, that the work was completed on the tomb by year 30 of A III. and the memory of Amenhotep Huy was pursued. He should be so disgraced? Unfortunately, nowhere explains the team how it comes to this date (year 30). What features in the tomb in concrete allow such a conclusion? Furthermore, it is completely ignored that Amenhotep Huy is securely attested in office in year 35 of A III. 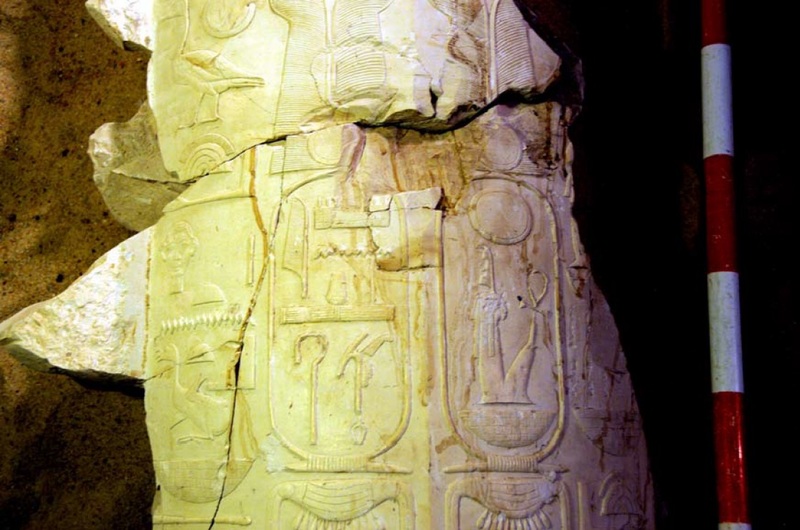 (Gebel El Silsila stele). Thus makes a persecution of his memory and discontinuation of work on his tomb before year 35, in my view, little sense? What evidence does the Antiquities Dept now claim to have, given the skepticism about the dating of A-Huy’s burial? Its no surprise that he was buried at Luxor; most ‘Amarna’ people were buried in that general area too. He was evidently very active in year 35 of A-III and probably well beyond that time, even possibly working briefly under King Tut. So its no surprise to find a pair of royal cartouches featuring A-III and IV together. It does not prove a co-regency.